Bad guys finish first — that might be a fitting aphorism for Rick Scott. After all, he finished first twice in the race for Florida governor. Now after serving two terms, Gov. Scott wants a seat in the United States Senate. We can be sure about one thing. Scott will be backed by tens of millions of dollars in campaign contributions from a lot of large corporations — and a lot of other monetary sources that no Florida citizens may ever find out about. Gov. Scott has mastered the art of raking in “Dark Money” in exchange for favors and deals. For example, two private equity executives donated $5,000 and $50,000 respectively to Scott’s gubernatorial campaign. Scott promptly took care of his friends. 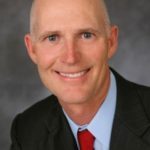 As governor, he directed lucrative Florida state pension contracts to the firms of the two executives – Steve Klinsky of New Mountain Capital and Doug Kimmelman of Energy Capital partners. This backroom dealing was uncovered by the nonpartisan watchdog group, MapLight. That’s just for starters. Before Scott was governor, he was CEO of Columbia/HCA, a sprawling medical corporation and network of hospitals that was charged with Medicare fraud. Scott made a fast exit before the case could be tried, but just months later his company gave in to the U.S. Justice Department for what was the largest fraud settlement in American history — $1.7 billion in criminal fines, civil damages and penalties. We could go on — but the point here is that Rick Scott’s long and dicey past is that of a “behind the scenes deal-making CEO” with a penchant for taking “short cuts,” to put it too kindly. Now as Florida governor, where he has played fast and loose with the money of Florida taxpayers, he wants to take his act to the United States Senate. And you can bet the many corporate cronies, executives and CEOs that have helped him all along will again be eager to shovel supercargo-loads of money into his Senate campaign. This is exactly the kind of corrupt pay-for-play politics that led to the formation of a new grassroots organization that has had enough. It’s a political action committee called End Citizens United. Based in Washington D.C., End Citizens United (EU) began operating in 2015. It’s primary goal: Get Big Money out of politics and stop selling out government public offices to backroom-dealing politicians like Gov. Rick Scott. End Citizens United immediately struck a chord with millions of Americans. The organization managed to raise $25 million by accepting an average $14 donation ahead of the 2016 elections. It is on track to top that by $10 million for the 2018 midterms. It accepts no major contributions from corporate entities or billionaire oligarchs. It’s a PAC funded by the people for the people. 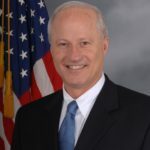 ECU has put together a target list called “The Big Money 20.” These are 20 members of the U.S. House and Senate – including U.S. Rep. Mike Coffman, R-Colo. — whom they have identified to be among the most egregious abusers of the lax campaign finance laws made possible by the disastrous 2010 Supreme Court Citizens United decision (from which ECU took its name). The PAC is throwing its support behind pro-reform opponents of the Big Money 20. While the long-term goal of ECU is a Constitutional Amendment that would overturn the 2010 Citizens United ruling, the PAC is currently focused on the 2018 midterms. ECU Executive Director Tiffany Muller said flipping the House of Representatives from Republican control to a Democratic majority would be a major step toward campaign finance reform. Taking both Houses of Congress would be even better — and it just may be possible. For too long, money-grubbing politicians like Florida’s Rick Scott have been getting away with the buying and selling of high political office — but he’s going to be hard to beat. Consider that Scott contributed $86 million from his personal fortune to his own gubernatorial races in 2010 and 2014. He’s basically a multi-millionaire backed by influence-seeking multi-billionaires. Scott is running against incumbent Democrat Bill Nelson who won reelection in 2012 by a comfortable 13% margin. This race promises to be much closer, however. Nelson will be 76 on election day. He has held his Senate seat since 2000, although Florida’s political landscape has changed in recent years. It’s going to be a tight race.